As President, Jeff is responsible for the oversight of the day-to-day operations and project design documentation at MOORE Consulting Engineers. 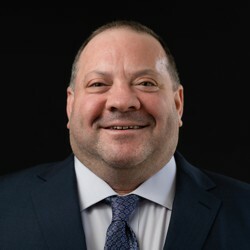 Jeff holds a Bachelor of Science degree in Mechanical Engineering from The College of New Jersey and a Master of Business Administration degree from the University of Colorado. 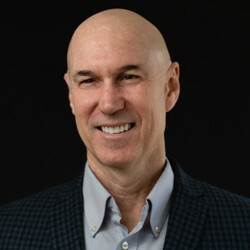 He is a licensed Professional Engineer in the States of Connecticut, Delaware, Maryland, New Jersey, Nevada, New York, Pennsylvania, and Virginia. Jeff has always had a desire to learn all aspects of the business in order to be a strong teammate and to provide the best advice possible for his clients. Jeff has 30+ years of hands on experience in mechanical and electrical engineering, estimating, scheduling, cost tracking, procurement, contract administration, project management and construction management. Jeff has managed every discipline of design as well as construction. As a LEED Accredited Professional, Jeff has a strong desire to use natural resources efficiently. He is a member of the American Society of Heating, Refrigerating and Air-Conditioning Engineers (AHSRAE), National Fire Protection Association (NFPA), American Society of Plumbing Engineers (ASPE) and the International Code Council (ICC). When Jeff isn’t at the beach, swimming, or doing projects around the house you can find him spending time travelling with his wife and three children. Jeff is happiest when he can use his skills to help others. Steve joined Moore Consulting Engineers in 2010. Combining a strategic and holistic approach to the design of mechanical, plumbing and fire protection building systems has allowed the firm to pursue and complete many unique projects around the country. His implementation of high efficiency HVAC and plumbing systems has offered countless savings to our clients. Steve is responsible for all phases of mechanical, plumbing and fire protection project management; from early conceptual design through construction and commissioning. He has a passionate enthusiasm towards including our clients in the design and construction process, which allows them to understand their facilities inner workings and creates an open line of communication. 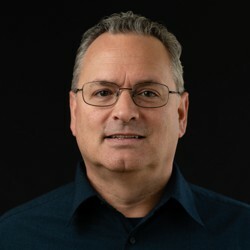 Steve holds a Bachelor of Science degree in Architectural Engineering from Drexel University and is a licensed Professional Engineer in the States of New Jersey, Michigan, Pennsylvania, and Vermont. He is a member of the American Society of Heating, Refrigerating and Air-Conditioning Engineers (ASHRAE), American Society of Plumbing Engineers (ASPE), and the American Society of Healthcare Engineers (ASHE). Outside of work, Steve is an avid golfer and enjoys staying active in his local community. Ken joined Moore Consulting Engineers in 2006. His expertise is in the design, engineering and construction of power systems, distribution, emergency power and UPS systems, lighting, voice and data infrastructure, audiovisual infrastructure, fire alarm and life safety systems. His deep understanding of these systems, along with his intense attention to detail allows projects to be managed and delivered with precision and thoroughness. Ken’s unique insight and design prowess stems from over 30 years of total engineering experience, including 10 years from the electrical contracting/field side of the construction industry. Ken has a Bachelor of Science degree in Electrical Engineering from Rutgers, The State University of New Jersey. When he’s not at work or shuttling around his three daughters to their various activities, Ken enjoys going to Philadelphia Eagles games, golf, and trying out new recipes.